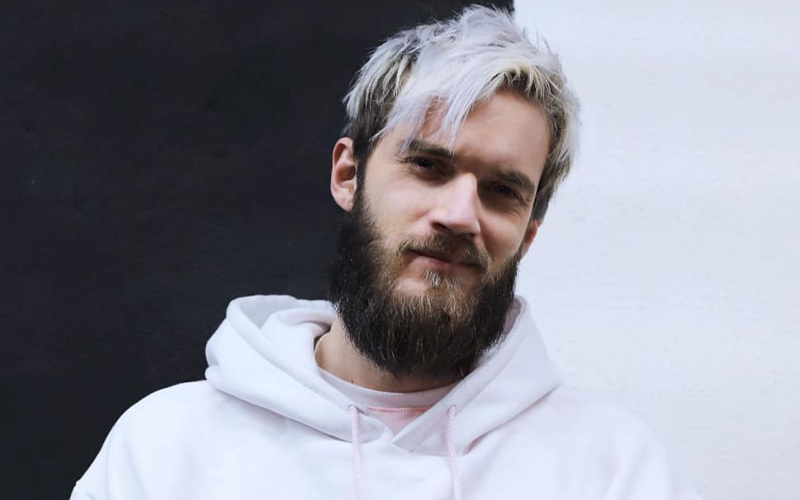 "Let’s Do Our Part to save YouTube"
YouTube’s biggest creator Felix ‘PewDiePie’ Kjellberg, as we all know, is currently in a race with Bollywood record label T-Series, as the latter has threatened to take PewDiePie’s throne as the biggest YouTube channel. 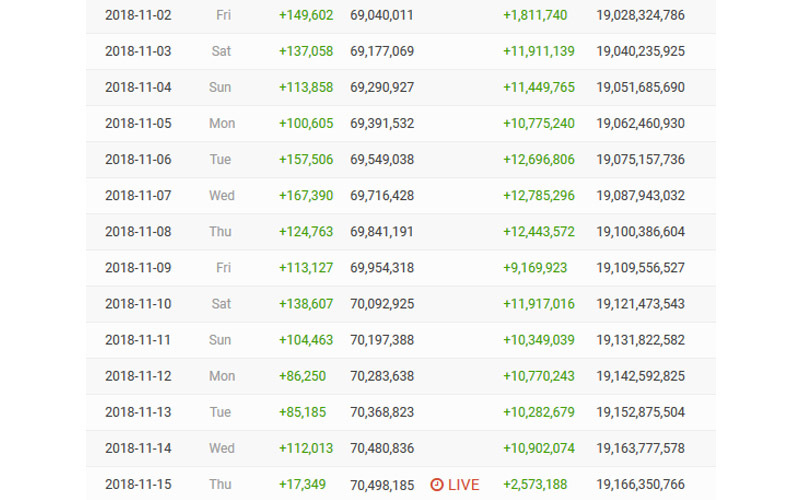 Since it was first reported back in August, both PewDiePie and T-Series have been racking subscribers at an unbelievable rate. Presumably, they’ll continue to do so until T-Series overtakes PewDiePie as the biggest channel on YouTube. But here’s the real question – Will T-Series manage to outrun PewDiePie? Well, looking at how PewDiePie’s fans are extending their support to promote his channel, it looks like PewDiePie is not ready to leave the throne without a fight, at least not anytime soon. That’s right, PewDiePie’s fans are hard at work to ensure that he remains the biggest creator on the platform. Some have even started buying billboard ads in various cities around the world to promote PewDiePie’s channel. That’s outright insane! But PewDiePie’s fans, on the other hand, are busy trying their best to promote PewDiePie left and right. From buying billboards in their respective cities to sticking posters in their neighborhood, PewDiePie is literally flooding the streets. The result? Well, he’s garnered over 3 million subscribers in a single month. In fact, his channel is getting over 10 million views every single day. Honestly, it’s a little weird watching an online rivalry spilling into the real world. It all started when a notorious YouTuber called MrBeast uploaded a video of him buying billboards, bathroom ads, radio ads, etc. 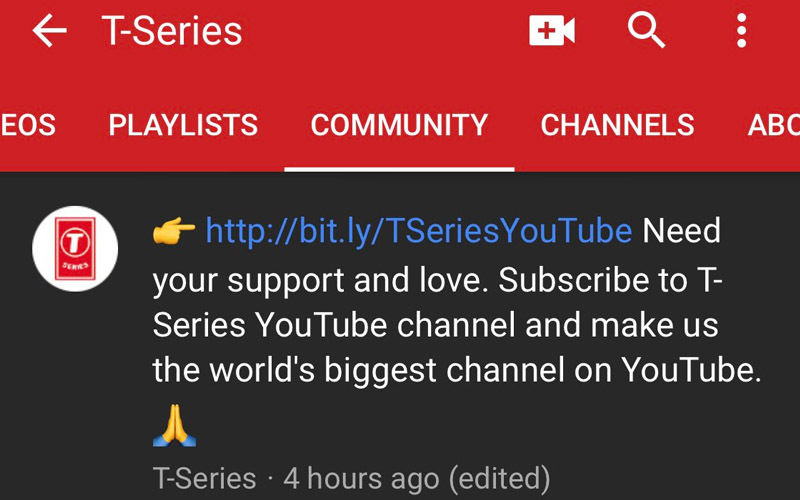 to stop T-series becoming the top YouTube channel. Soon after that, PewDiePie’s Twitter handle and subreddit r/pewdiepie started blowing up with posts in which people are seen doing their part to support the Swedish creator. All This Relentless Campaigning for What? Anyway, what are your thoughts on this YouTube drama? Let us know your thoughts by dropping a comment down below. I’d love to know your opinion.